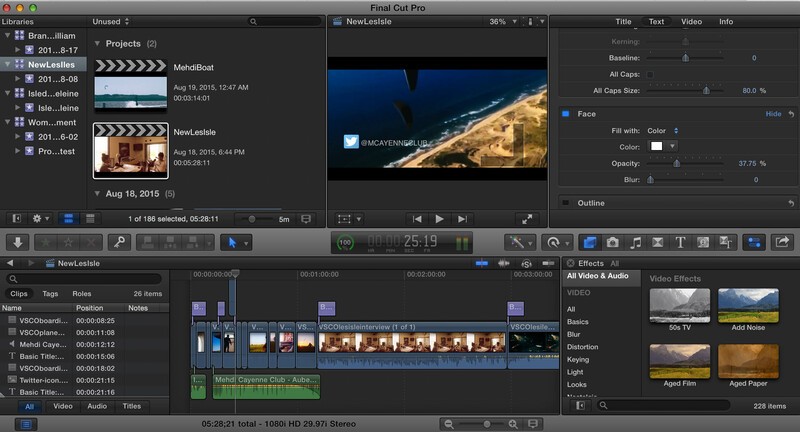 Fill footage is a great place to get creative. 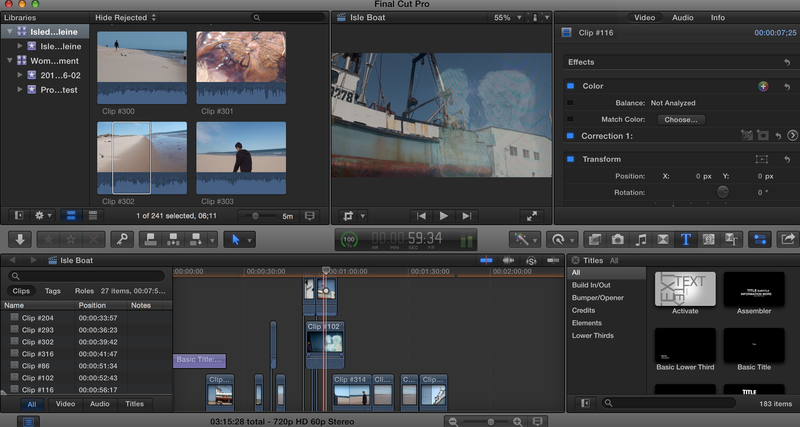 You can superimpose footage to create a layered film effect- showing two shots at once by lowering the opacity. This is called – superimposing. place or lay (one thing) over another, typically so that both are still evident. Here’s an example I just did: The children and the boat are layered over each other- with the opacity of the image brought back- thus making the images see through. The clip with the higher level of opacity will always be the more prominent image- more visible. Superimposing expands your ability to play around artistically with the design and feel of your film. In this example, I’ve lowered the opacity on the white text to make it more grey. Simply lay the image or text on top of the main reel and select it (A). 2.) Lower the opacity to the degree that you find pleasing to you. Superimposing is linked to impressionistic style of film. Just like art, film has waves. French Impressionists use superimposing to convey more meaning in one shot. Cœur fidèle (“Faithful Heart”) epitomizes the quiet side of Impressionism. It’s story is as simple as they get: Marie is a barmaid whose foster parents try to force her to marry a thug, Petit Paul, while she is in love with the sensitive dock-worker Jean. The scenes around the waterside and the famous sequence in a carnival are all done with a realism blended with the subjective camera techniques that convey the characters’ thoughts, perceptions, and feelings in a way that was fresh at the time. The exteriors were shot around the docks of Marseille, and Epstein uses superimpositions of the ocean to convey the lovers’ longing. 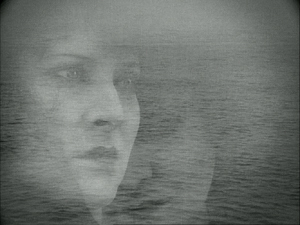 Waves are sometimes superimposed over their figures, or one will look into the water and see the other’s face there, as when Jean envisions multiple images of Marie. One of the coolest places to find fill footage is to look on public archives and stock footage. Many times the historical footage you see in documentaries or music videos are from these historical archives which belong to the public, this also means you can’t get in trouble for their use. The great thing about these sites is that you are able to download the footage right from the site and it costs- nothing.